LUCENA CITY - Quezon police operatives on Wednesday arrested four drug suspects during a drug buy- bust operation resulting in the seizure of morethan half million pesos worth of prohibited drugs at Metropolis Subd., Purok Baybayin 2, Bgy Ibabang Dupay, here. Quezon police director, Senior Supt. Osmundo de Guzman identified the arrested suspects as Raymundo Magugat, 55, of Capitol Homesite Subd., Bgy. Cotta, Rosalie Baldonado, 32, of Bgy. Ibabang Dupay, Louiji Mogol, 32, of Bgy. 4, and Antonio Baac, 46, of Bgy. Dalahican, all in this city. He said Baldonado has a pending drug possesion and drug pushing at Lucena City Regional Trial Court, Branch 53. In a report submitted to Calabarzon police director, Chief Supt. Edward Carranza, De Guzman said the operation was carried out by joint elements of Quezon Drug Enforcement Unit under Supt. Norman Rañon and Lucena City Drug Enforcement Unit under City police director, Supt. Reydante Ariza and Philippine Drug Enforcement Agency (PDEA)- Quezon. In the process, De Guzman said the suspects were held following the confiscation from their possession of 12 heat-sealed plastic sachets containing 135.4 grams of suspected shabu with an estimate market value of P541, 600 and the used marked money. He said the operation was carried out after validating the reports coming from the community regarding the suspects’ illegal activities. 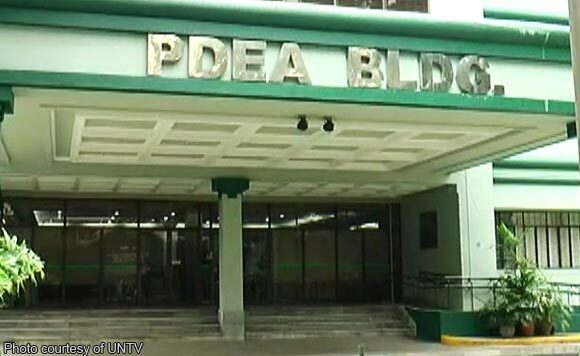 After the seizure, De Guzman said all the pieces of evidence were brought to Quezon Provincial Crime Laboratory Office for examination while the supects will be charged with violations of Comprehensive Dangerous Drug Act of 2002. He said with the help of PDEA and other sectors, the Quezon police will continue its intensified and relentless drive against illegal drugs among other illegal activities.